This book changes profoundly the way we all cope with our life today. Among other things, you’ll see that when you are in a good season of our life, you mustn’t behave as if you assume that this season will never end. On the contrary, you have to take in time the necessary measures to face successfully the problems that may occur in the bad season that will follow. You must not be spendthrift, for example, but you have to save money for facing possible financial problems that will appear during the bad season. Also, you have to take care of your health, so that you can successfully face serious illnesses that may appear in your bad seasons. In short, you have to make provisions for the winter that will come, so that you can effectively diminish its chilliness. You will also be amazed to learn from this book that if Napoleon the Great knew the theory explained in the book, he wouldn’t have attacked in 1815 the English and Germans at Waterloo where he suffered total destruction that lead him to death. Things may have so taken another course for him, and a new good season, a glorious one again, may have later started for Napoleon! Also, you will be surprised – and really comforted – to learn from this book that you must not blame yourself – and have not any remorse – for the fact that a bad season came in your life. You will realize that you haven’t made any mistake to cause the arrival of this season, and you couldn’t have done anything for avoiding this; the bad season would have inevitably arrived in any case. You will also notice – among the lots of other advantages this book offers – that you can entrust an employee or colleague with the solution of a difficult problem – or a politician to govern your country, or even a coach of a basketball team – only if you know they are in a good season of their life, operating so from a position of strength. 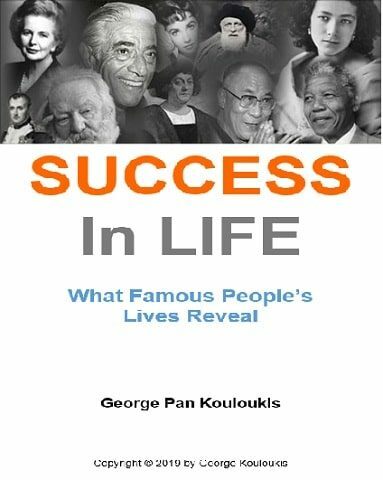 Also, you will find of special interest that the discovery cited in this book can help you to foresee the life evolution of the other people – of your friends and relatives, of famous people (artists, singers, actors, and the likes), or even of the politicians that govern you. You can predict, for example, how long a political leader will stay in power after his election, or for how long a famous singer will continue his successful career. All depends on the season – good or bad – these persons are at a given moment, as I explain in detail in the book. The discovery revealed in this book will radically change in the future the mentality and character of all people. People will become more philosophized, realists, and peaceful –they will know that a good season doesn’t last forever, on the contrary a bad season awaits; it hasn’t any meaning, therefore, being quarrelsome and aggressive. On the contrary, the Man will become tolerant and merciful, and have more understanding towards the others. Superficiality and imprudence, even if they don’t disappearcompletely, will drastically be reduced. Also, the theory explained in this book is a fresh piece of knowledge, as you will see – and I could say that a kind of new science can be born from it. In the light of the book’s findings, therefore, new studies by other persons (scientists or scholars) are absolutely necessary in the future, so that they can enable all of us to take more advantages of the discovery described in the book. There are also a lot of other benefits deriving from the discovery – and most of them are indeed astonishing, as you’ll see in detail in the book.